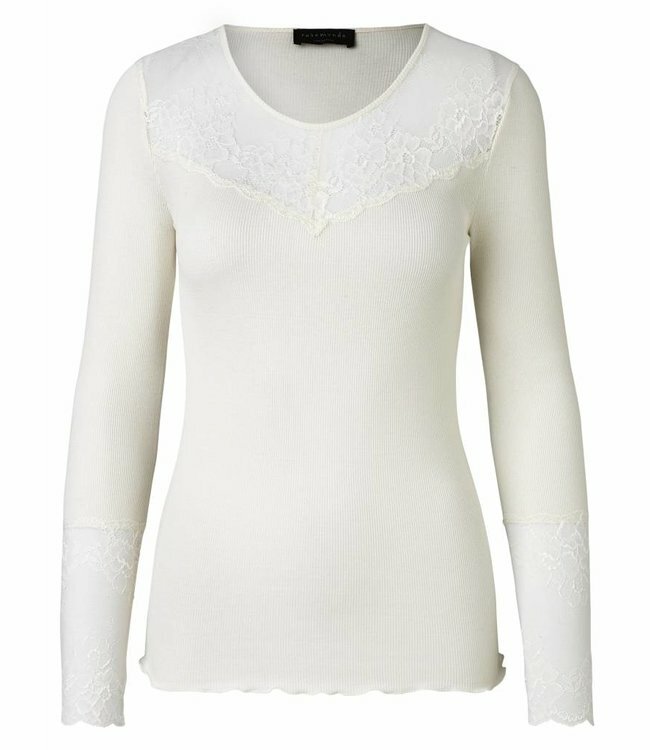 Long-sleeved shirt, ecru, made from a silk-cotton blend, with a romantic lace insert at both cuffs, at the front and at the neckline. The shirt is made from a premium-quality, soft fabric and is extremely comfortable to wear. Long-sleeved shirt, black, made from a silk-cotton blend, with a romantic lace insert at both cuffs, at the front and at the neckline. The shirt is made from a premium-quality, soft fabric and is extremely comfortable to wear.